Historic Downtown Melbourne, Andretti Thrill Park, Melbourne Square Mall, Chuckee Cheese, Front Street Park, Indialantic Beach, . 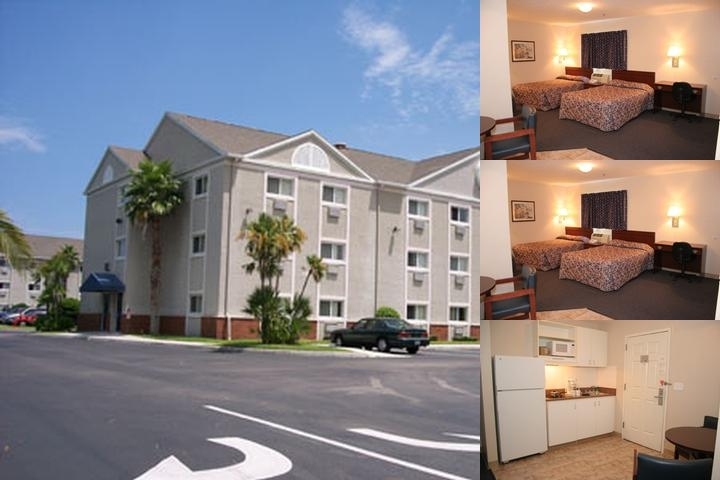 Travel with confidence at the Suburban Extended Stay hotel in Melbourne, FL. This smoke-free hotel is located near destinations like Melbourne Beach, Brevard Community College-Palm Bay, Melbourne Square Mall, Palm Bay Community Center and Palm Gardens Golf Course. Enjoy amenities like free WiFi, free airport transportation, free coffee and a fitness center. Spacious suites come equipped with flat-screen TVs and select rooms have desks, hair dryers, irons and ironing boards. Also, earn rewards including free nights and gift cards with our Choice Privileges Rewards program. We use Eco-friendly cleaners and laundry detergents. Melbourne International AirportHotel has 12 passenger shuttle for complimentary pick up only. Local Shuttle Info: Hotel Shuttle rates vary upon group. The Suburban Extended Stay highlights above are subject to change without notice. Below are the meeting, banquet, conference and event spaces at Suburban Extended Stay. Feel free to use the Suburban Extended Stay meeting space capacities chart below to help in your event planning. Hotel Planner specializes in Melbourne event planning for sleeping rooms and meeting space for corporate events, weddings, parties, conventions, negotiated rates and trade shows. Conference room capacity 12 people, set up for small meetings. 30 x 15 x 10 Ft.